Histories of the Gilded Age and Progressive Era tend to characterize the United States as an expansionist nation bent on Americanizing the world without being transformed itself. 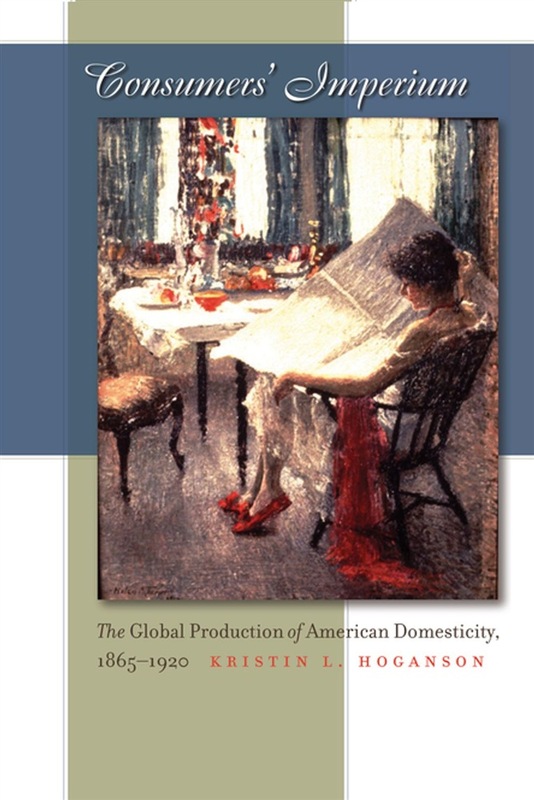 In Consumers' Imperium, Kristin Hoganson reveals the other half of the story, demonstrating that the years between the Civil War and World War I were marked by heightened consumption of imports and strenuous efforts to appear cosmopolitan. Hoganson finds evidence of international connections in quintessentially domestic places--American households. She shows that well-to-do white women in this era expressed intense interest in other cultures through imported household objects, fashion, cooking, entertaining, armchair travel clubs, and the immigrant gifts movement. From curtains to clothing, from around-the-world parties to arts and crafts of the homelands exhibits, Hoganson presents a new perspective on the United States in the world by shifting attention from exports to imports, from production to consumption, and from men to women. She makes it clear that globalization did not just happen beyond America's shores, as a result of American military might and industrial power, but that it happened at home, thanks to imports, immigrants, geographical knowledge, and consumer preferences. Here is an international history that begins at home. Acquista Consumers' Imperium in Epub: dopo aver letto l’ebook Consumers' Imperium di Kristin L. Hoganson ti invitiamo a lasciarci una Recensione qui sotto: sarà utile agli utenti che non abbiano ancora letto questo libro e che vogliano avere delle opinioni altrui. L’opinione su di un libro è molto soggettiva e per questo leggere eventuali recensioni negative non ci dovrà frenare dall’acquisto, anzi dovrà spingerci ad acquistare il libro in fretta per poter dire la nostra ed eventualmente smentire quanto commentato da altri, contribuendo ad arricchire più possibile i commenti e dare sempre più spunti di confronto al pubblico online.